Speaker/Presentation Proposals for the Population Health Colloquium May Be Submitted Through Our Online Form. PHILADELPHIA PA USA -- HEALTHCARE UPDATE NEWS SERVICE -- OCTOBER 26, 2017: The Eighteenth Population Health Colloquium, www.PopulationHealthColloquium.com, will take place March 19 - 21, 2018 at the Loews Philadelphia Hotel, in Philadelphia, PA. The conference will be offered both onsite and live and archived for 6 months over the Internet. 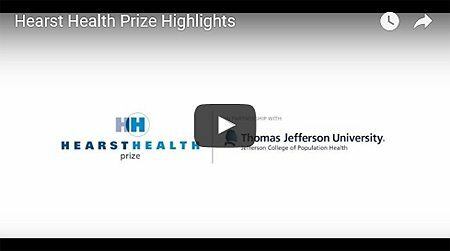 The 2018 Hearst Health Prize for Excellence in Population Health will be award at the Colloquium. The winner will receive a $100,000 prize in recognition of outstanding achievement in managing or improving population health. Up to two finalists will receive a cash award of $25,000 each! For more information, please visit www.Jefferson.edu/HearstHealthPrize. For Colloquium registration information, visit www.populationhealthcolloquium.com/registration/, email registration@hcconferences.com, or call (800) 503-7439. For sponsorship and exhibit information go to www.populationhealthcolloquium.com/promotional-opportunities/ or contact Justin Sorensen, Exhibit Manager, at (206) 452-0609 phone, (206) 319-5303 fax, or exhibits@hcconferences.com.